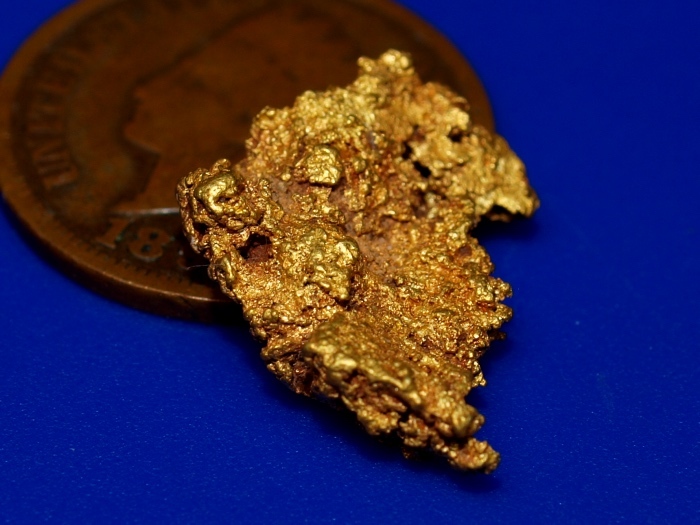 Here is a nugget that was recently found in the Shasta County in far northern California. 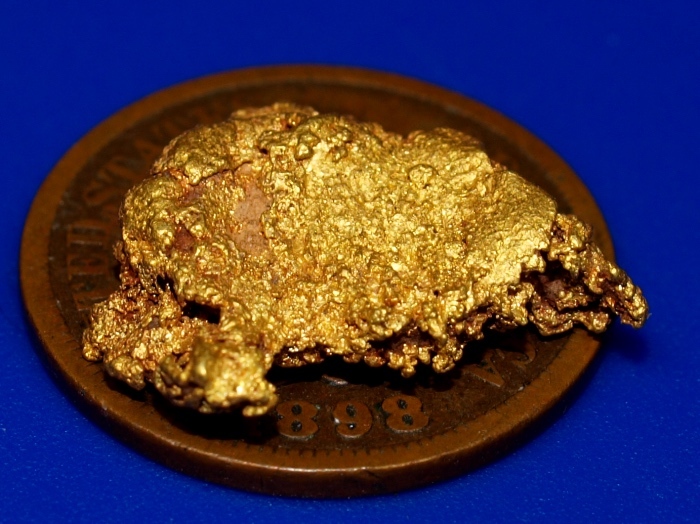 This piece is fresh out of the ground, found by a prospector this summer. This piece weighs 2.75 grams. 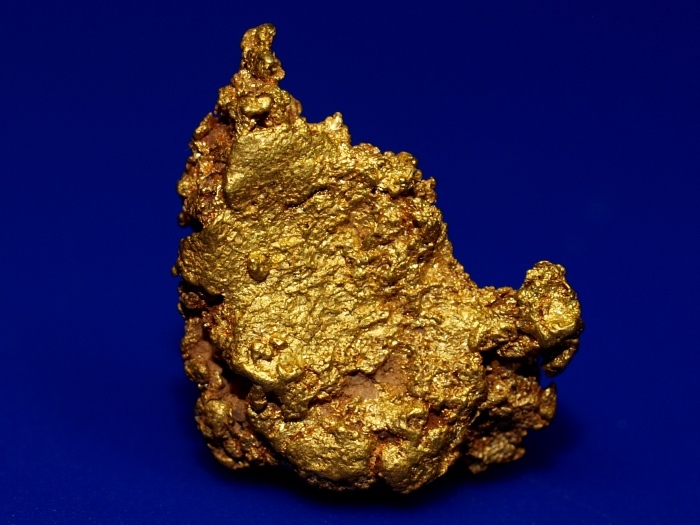 It has a neat rough shape and texture, a truly great piece of Northern California gold. The penny in the photo is for size reference only. It will ship for FREE and comes in a nice display case.